Here we have a slightly-edited series of items from Kira’s player, detailing the homeworlds of one of the currently important factions. Out beyond the borders of the Republic, there are many small, independent, domains. The Varen Commonwealth is one of those domains – consisting of the usual a scattering of outposts and territorial claims in nearby systems clustered around a modest group of inhabited planets and moons. In this case, the center of the Varen Commonwealth lies in a single system – and that system has a vested interest in isolation and concealment from the rest of the galaxy. The Varen system lies on the Outer Rim of the galaxy, and is mildly unusual in that the Jovian class Varen II has a large number of habitable moons in orbit. 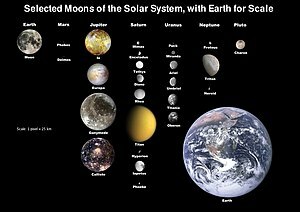 There is evidence that at least some of the twelve inhabited moons were terraformed or moved into Varen II orbit from Varen III and IV. This combined with the Varen system’s location at the end of a minor hyperspace route gave it an excellent defensive position. This in fact is what drew the first modern settlers to the system millennia ago while fleeing yet another Sith war raging across the galaxy. Inevitably, Sith fleeing the Republic also arrived in the system and set up shop. Keen not to draw the ire of a vengeful Republic, these Sith did their best to lay low and not draw attention to themselves. Those likely to draw too much attention, or to threaten the others, were killed before they could pose a threat. Families of Sith arose to power on each of the moons of Varen II as each found ways to gain political control without drawing too much attention to themselves. With their footholds firmly established, each family began to look at the other moons with an eye towards conquest. And so began the trade wars, assassinations, political alliances and backstabbing that typically accompanies internal strife. However each family was keenly aware of the danger the Republic could pose should it detect another Sith empire forming. To that end, whenever one faction began to gain too much power, the others would unite to suppress it. This continued on for hundreds of years – until the veritable stalemate began to become the goal and not the undesirable intermediate. Correlating with this change in philosophy was a shift in the doctrine of not drawing attention to the system. This changed from it’s original context to one emphasizing control of the Dark Side over sheer power. Soon enough the next Sith war erupted due to the actions of another group elsewhere in the galaxy. The Sith of the Varen system joined the rallying cry only to experience severe culture shock upon meeting what they once thought to be their Sith brethren in the galaxy. Superweapons, devastating plagues, continuous backstabbing leading to defeat at the very moment of victory and more abounded. Had this type of behavior held in the Varen system, none of them would even exist! In each other, the Sith of the Varen system found a common cause, in the other Sith, they felt only disgust. Once again the war ended in a victory for the Republic, and the Sith of the Varen system fell back to their home system quietly. Those that fought in the war did not forget the lessons learned though. Realizing that they had more in common with each other than with other Sith, honest peace dialogues started. Soon a council was formed of the heads of each of the twelve major families. This council originally served as a platform for mediation and negotiation, but in time grew to become a major decision making body for the system. Internal conflicts began to wane, and resources consolidated. Soon the inhabitants of the system began to call themselves Varen in recognition of this fact. In the aftermath of the latest Sith war, several nearby systems were either abandoned or found themselves isolated from the rest of the galaxy. Most did not exactly welcome the Varen with open arms, remembering the atrocities from the previous Sith oppressors. It was true that the locals of the systems taken over lost a lot of political freedom in the process. On the other hand, the Varen encouraged economic growth and industrialization – despots yes, but despots with a clear sense of enlightened self-interest. Healthy economies, rich worlds, and functioning societies with reasonably contented populations made a FAR more useful power-base than attempting to rule by sheer terror. Force sensitives born among the populace were systematically taken in by the Varen and taught the Varen ways. Those that managed to control their powers were adopted by one of the existing families and given rights and privileges to go with it. Those found to be lacking the necessary control were ruthlessly eliminated for the danger they presented to all the Varen had built. In the larger galaxy, the cycle of Sith Wars came and went, although the Varen would always limit their participation. Choosing to cherry pick the spoils of war and peace while letting the Republic and more showy Sith continue their endless dance was much more profitable. Varen territory and assets grew over time and the Varen even began to try to limit the greater Sith excesses through assassinations and sabotage – or allowing a few Jedi to take care of their problems for them. After all, a vengeful Republic could destroy all they had built as much as a rampaging Sith Lord. The Varen government has grown into a hybrid system split along class lines. The Varen families are governed by the family courts and the Varen Council. The non-sensitives who are not members of one of the families are instead ruled by the Parliament. Parliament can make laws and run social programs, but is not allowed to make laws regarding Force sensitives, manipulate military spending, or run major infrastructure projects. Funding is provided as a percentage of annual taxes. The Varen Council is made up of the heads of each of the Varen families. It has the authority to make decisions regarding military expenditures, major infrastructure improvements, taxation, and laws regarding the Varen themselves. The organizational structure is much like any nobility class with minor fiefdoms and territories being held by various members of the family. Fiefdoms and territories are usually handed out by the Council or the families in the case of locations dominated by a single family. Appointments to various jurisdictions is doled out based upon a combination of merit, family connections, and political intrigue. A fiefdom performing well under one’s jurisdiction is looked upon well, but a rapid decline after departure is looked down on unless it can be shown to be the result of an incompetent successor. Sadly, even with careful management, the Outer Rim just isn’t nearly as resource rich as the Mid-Rim or the Core. That territory was firmly under Republic control though and the Republic wasn’t likely to give it up readily. Nonetheless, there was more than one way to make a credit. The first envoys to the Republic wishing to set up an Embassy and trade relations was dismissed as a joke. Subsequent attempts at discrete negotiations fared well until some objecting Senators learned of the discussions and launched a public campaign to derail the efforts. With discussions with the Republic failing repeatedly, the Varen looked elsewhere for lucrative trade routes. Hutt space proved productive if rather low quality in trade. The insect swarms of the Oort systems also proved to be a successful trade partner. All this time the Varen have quietly built up their industrial base, made connections, and established contacts. As the most recent Sith war has broken out, the Varen have been attempting to take a more active role in the effort. While they don’t have the resources to compete with the Mid-Rim systems that defected to the Sith, the Varen are typically better organized, and further from the war front. This time they should be in a much better position to limit the damage caused and to pick up some prime spoils. Who knows, if they can manage to capture a real prize from the Republic, the Republic may be willing to exchange something precious to see it returned intact. Besides, recruiting has gone way up this time around. Even if this particular war doesn’t go well, the next is sure to go differently. The philosophy of the Varen Sith is simple; many, or perhaps most, force sensitives will eventually fall to the negative emotions of the dark side of the force, and this must be accepted. Thus they focus their training on unemotional logic – learning to transform the blazing fury of the dark side into cold fury, a force that can be directed towards their own utterly ruthless goals, rather than a into uncontrolled destruction of things which might be useful later – or which might attract too much attention. Rather a lot of trainees prove unable to focus on their goals when the power of the dark side pours through them, and so either eliminate themselves or are eliminated – but the modest percentage who survive are tempered by it. The Varen Sith will always be a tiny minority of force-users because eight or nine out of ten will die in training. On a large scale… they look remarkably similar to the Jedi from the outside. A Jedi might save children because it is the right thing to do. A Varen Sith might save children because the reputation is useful, gratitude is useful, they are potential future resources, and it helps keep the society that he or she is depending on for power functioning – but, either way, the children will be saved. Of course, the Varen might use them for experiments or a diversion later on – but only if such use promises to be more profitable than keeping them alive and healthy for the future and if it can be concealed well enough not to cause social disruptions.